The Right People. In the Right Place. Leading the Industry. There are thousands of multifamily owners and developers. However, only a handful of companies develop, own, and operate their apartment communities; Continental is one such company. In 2017, Continental developed 3,140 apartment homes making us the 8th largest developer of apartment homes in the nation. In 2001, Continental moved from exclusively developing retail properties to include a branded multifamily line of luxury apartment homes called Springs in our development lineup. Since that time, Continental has developed, owned, and operated 80 communities with 21,215 apartment homes in 18 different states. Over the past 17 years, Continental has honed its skills in developing and owning successful communities in a multitude of markets across the United States. Developing a brand that can stand the test of time and span multiple geographic regions requires hard work, a drive to complete work better than it has been completed before, and the right people in the right place. Continental truly hires the Best and Brightest, which is evident by the talent and scope of knowledge of our in-house and on-site team members who focus daily on delivering and operating the best, most efficient communities while keeping housing affordable in all of our markets. Continental’s Home Office has just over 100 team members, four of whom hold nationally recognized positions that impact the real estate industry. Jim Schloemer, CEO, is an officer of the National Multifamily Housing Council (NMHC). Paul Seifert, EVP of Operations and Chief Legal Officer, is a member of the Aimbridge Owner’s Hotel Advisor group. Kim Grimm, EVP of Development and Chief Talent Officer serves on the NMHC Workforce Housing Committee. Ryan Folger, VP of Design and Construction, is a member of the NMHC Construction Peer Group. At Continental, over 40 team members hold nationally recognized certifications, Board and Committee chair positions, and licenses in fields such as Law, Insurance, Marketing, Real Estate, Finance, Architecture, and many other disciplines. Recently, Jim Schloemer was asked to testify in front of the House Committee on Financial Services Subcommittee on Housing and Insurance. 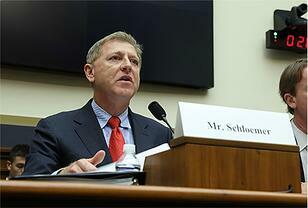 The hearing was titled “The Cost of Government Regulations on Affordable Multifamily Development.” Schloemer was asked to be one of four testifiers who answered and clarified remarks on the disconnects between ADA building code and multifamily regulations, government involvement in onsite regulations, and general barriers to multifamily development nationwide. Schloemer answered questions and informed subcommittee members, including Sean Duffy, the Subcommittee’s Chair and U.S. Representative for Wisconsin's 7th Congressional District. Others pinpointed areas that would align state and national regulations helping to standardize development costs. Continental’s in-house Market Research team estimates that a 5% reduction in development costs would allow Continental to offer 62% of their apartment homes at rents affordable to households earning 80% of the area’s median income. 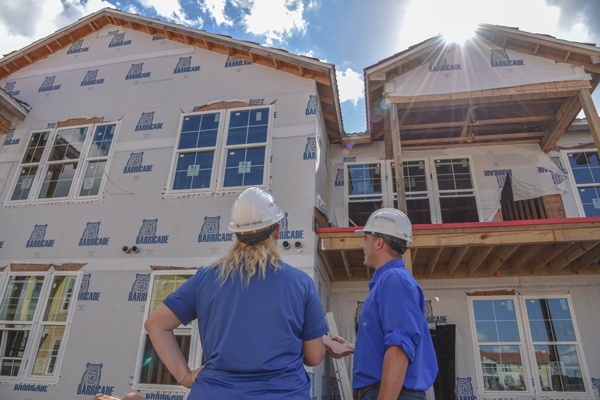 A recent study commissioned by NMHC and the National Association of Homebuilders determined that more than 32% of the cost of new housing is driven by regulatory costs. Testimony by Schloemer and others at the hearing made it clear that a reasonable reduction in regulatory burden alone could allow that cost savings to occur. Several of the Congressional Subcommittee members stated that the goal of reducing the cost of regulatory burden on housing development is a cause that can and should receive bipartisan support.